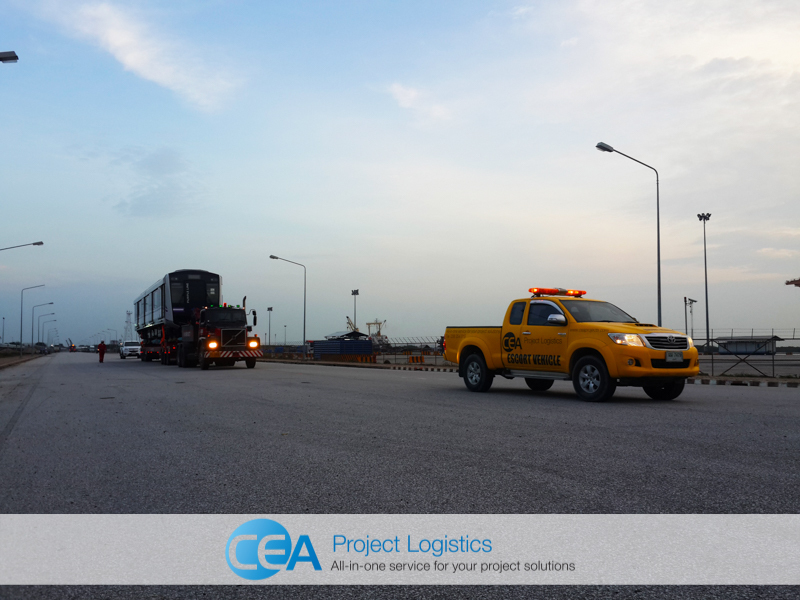 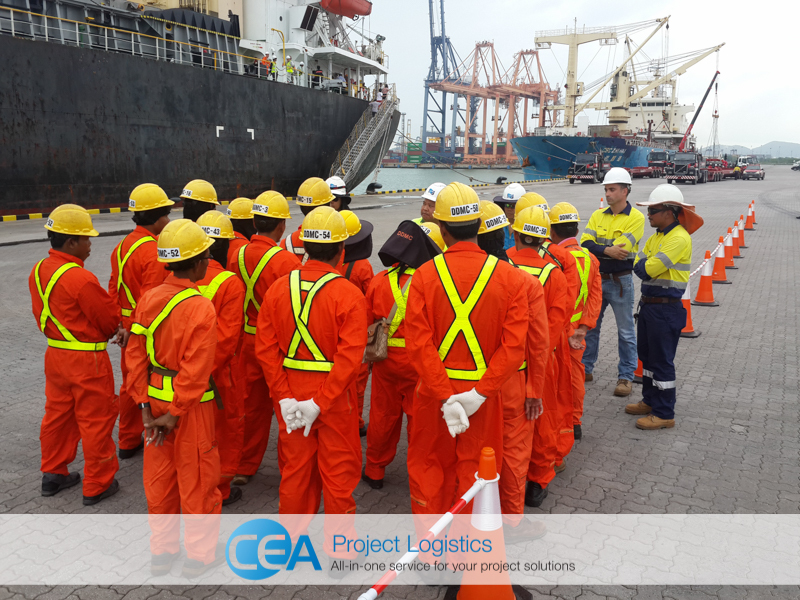 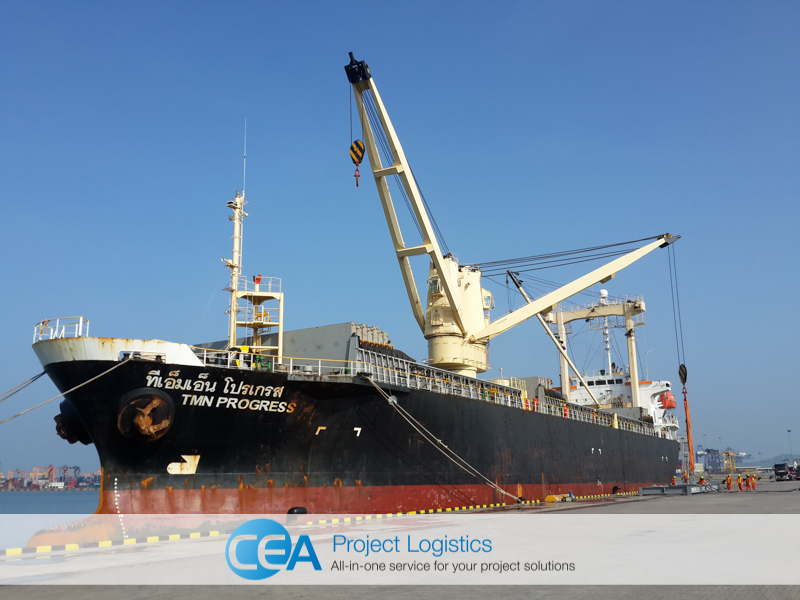 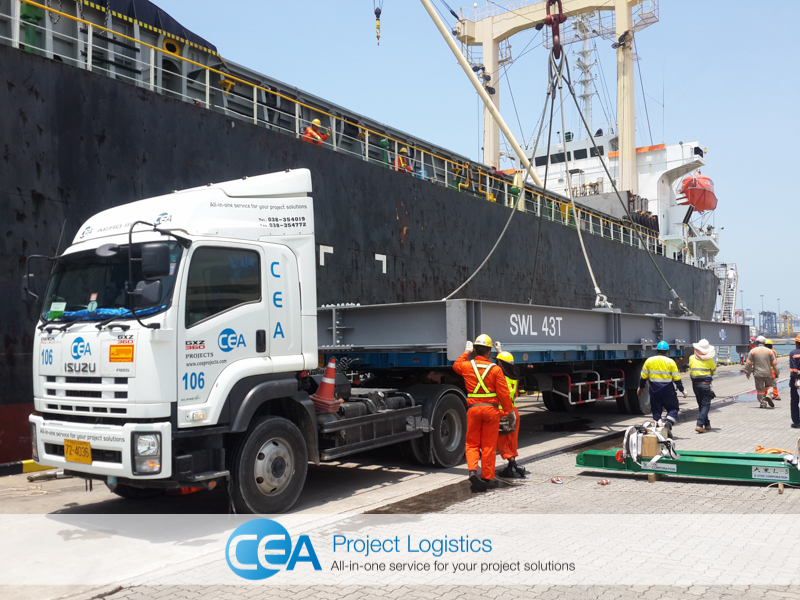 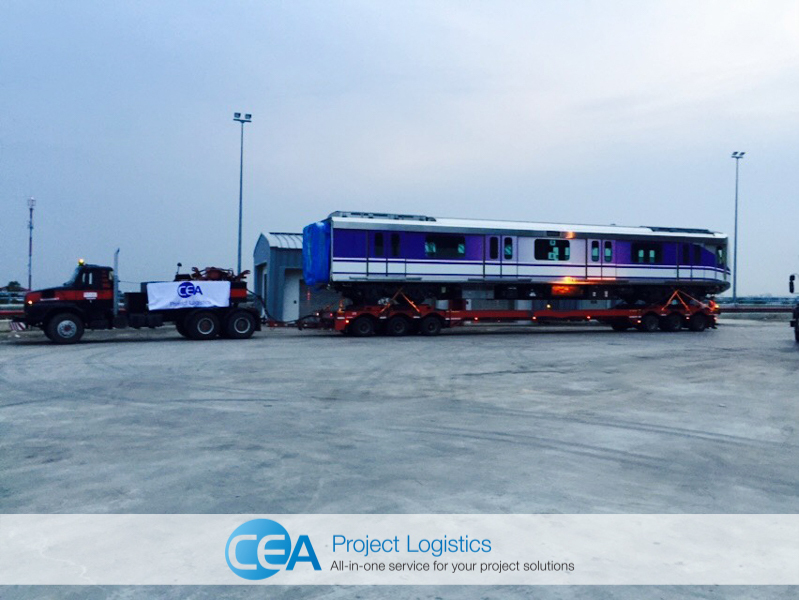 CEA Project Logistics Thailand have begun a very high profile project that has resulted in enormous media coverage throughout the Kingdom. 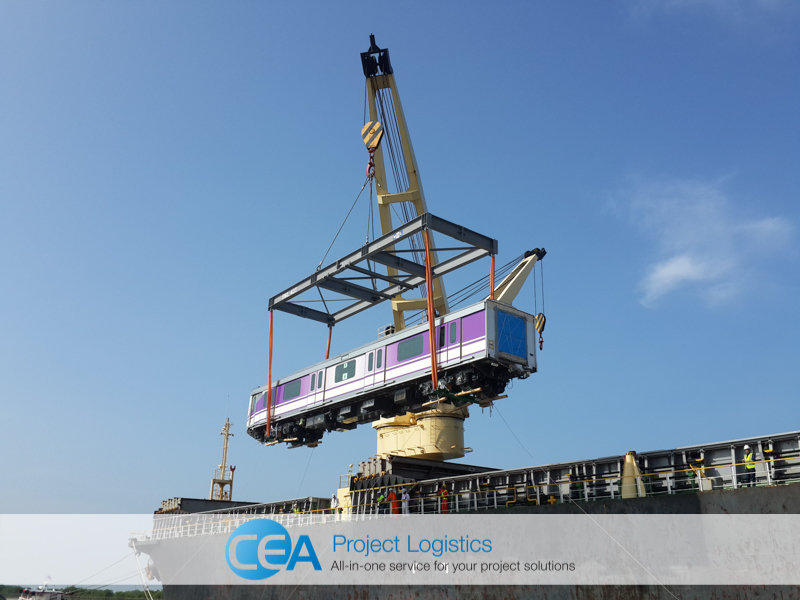 The MRT Purple Line Project is a 23-kilometer elevated heavy rail transit system with 16 elevated stations situated along the route. 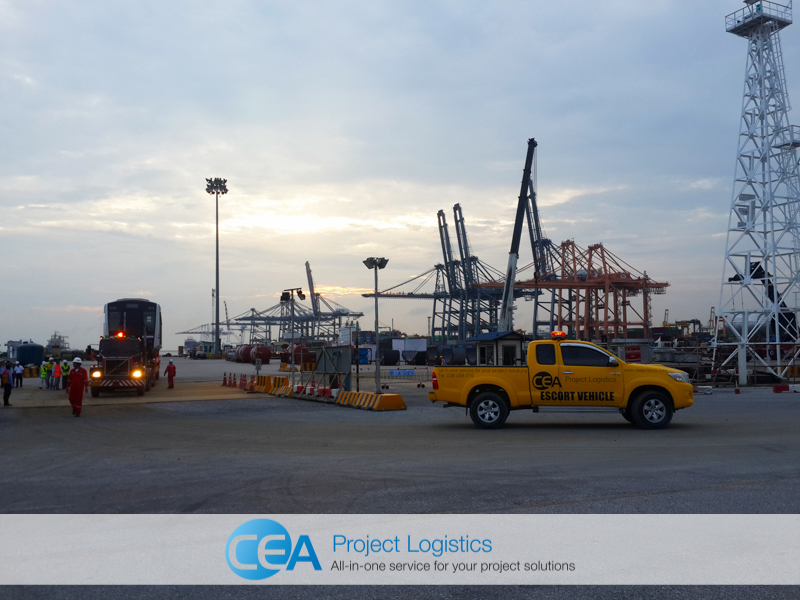 The project will have a massive impact on the residents of Bangkok and is aimed to serve travel demand between the northwestern suburb of Bangkok in Nonthaburi Province and southern area of Thonburi in Rat Burana District. 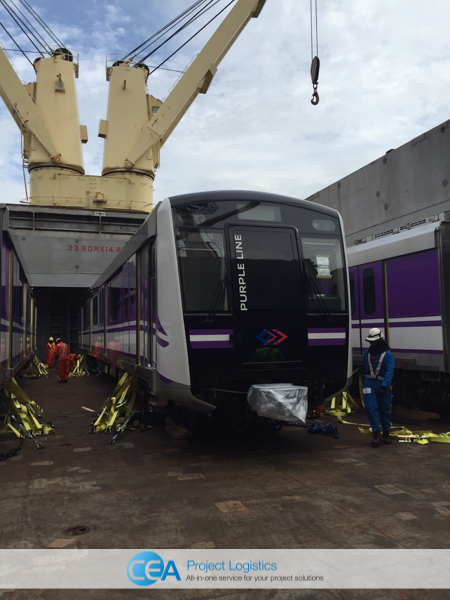 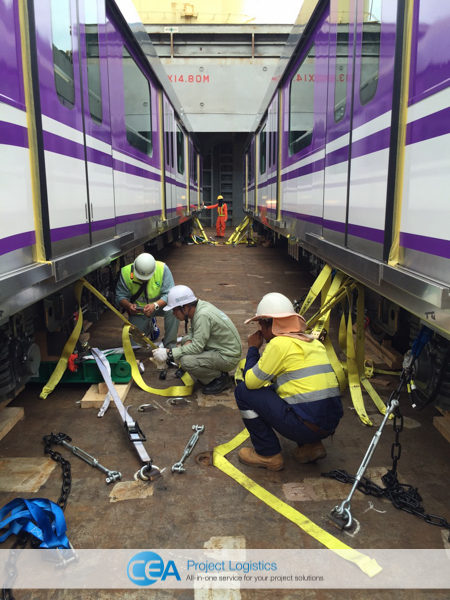 The MRT Purple Line will consist of 21 train sets, each set consists of three carriages. 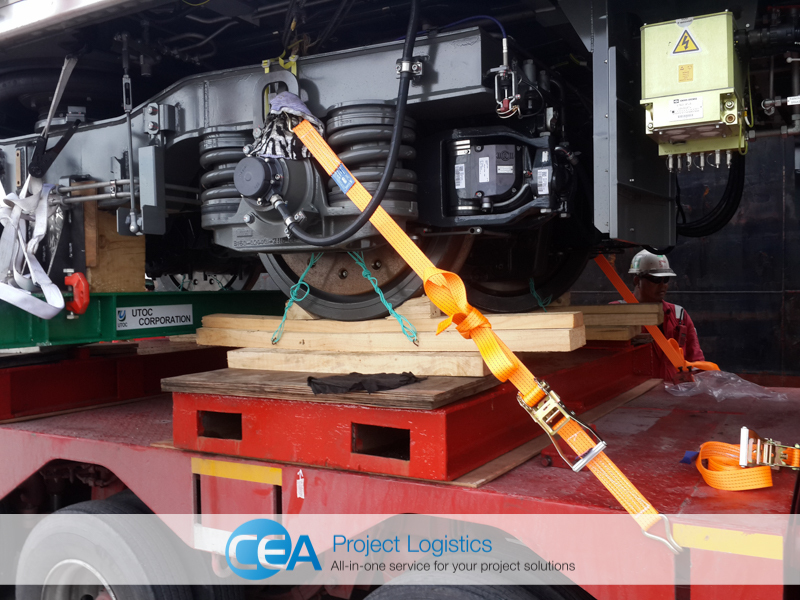 The motor and trailer carriages are both 21.5 meters long with the trailer carriage weighing in at 34 Tonne while the Motor carriages are 40 Tonne. 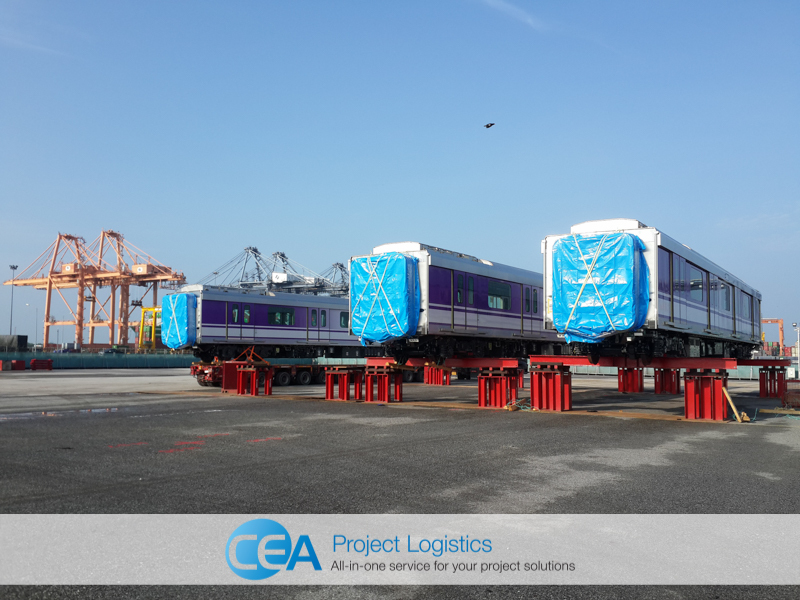 Throughout the next six months, the carriages will leave Yokohama in Japan and travel by sea to Laem Chabang Port Thailand. 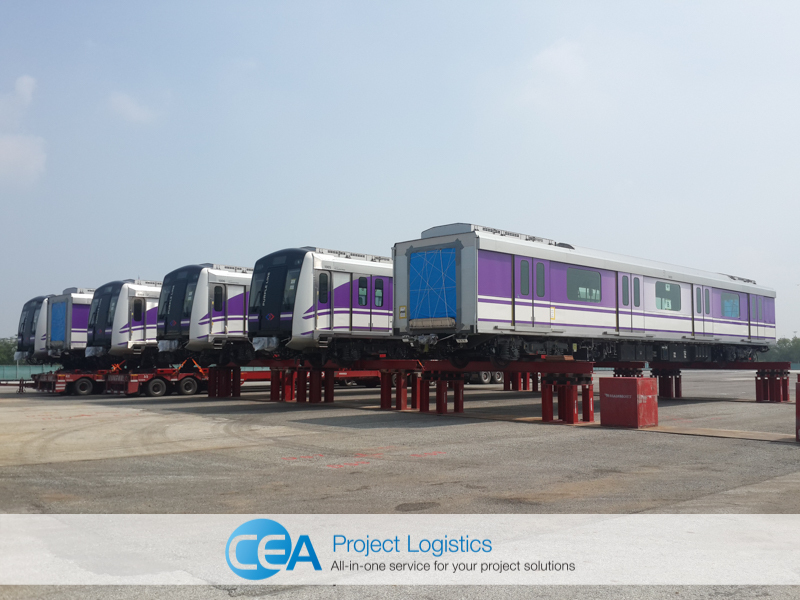 The first six carriages of the project arrived on Friday 18th and have now been successfully delivered to the MRT depot in Bangkok. 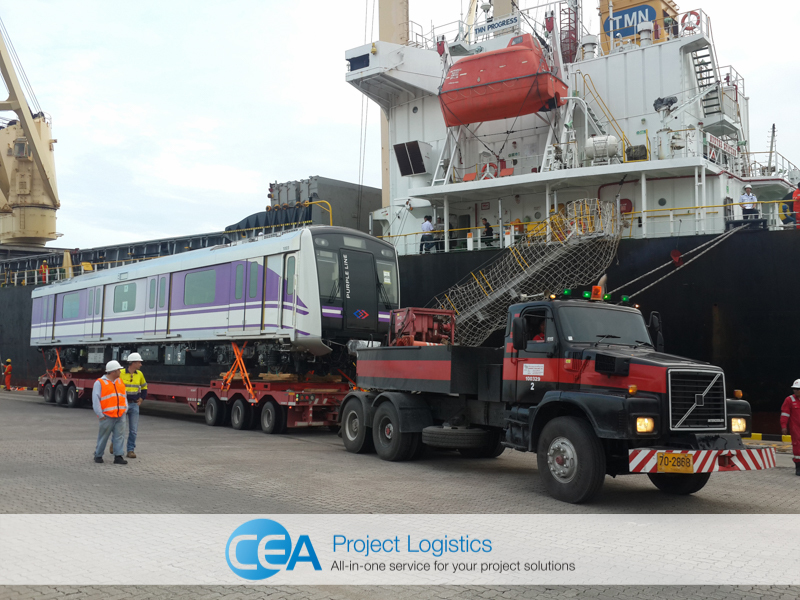 The next delivery is due on the 26th September. 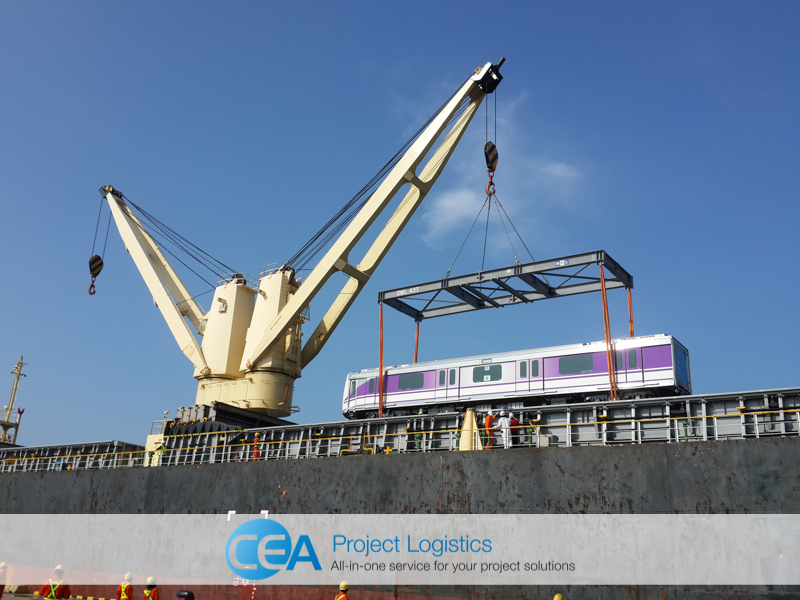 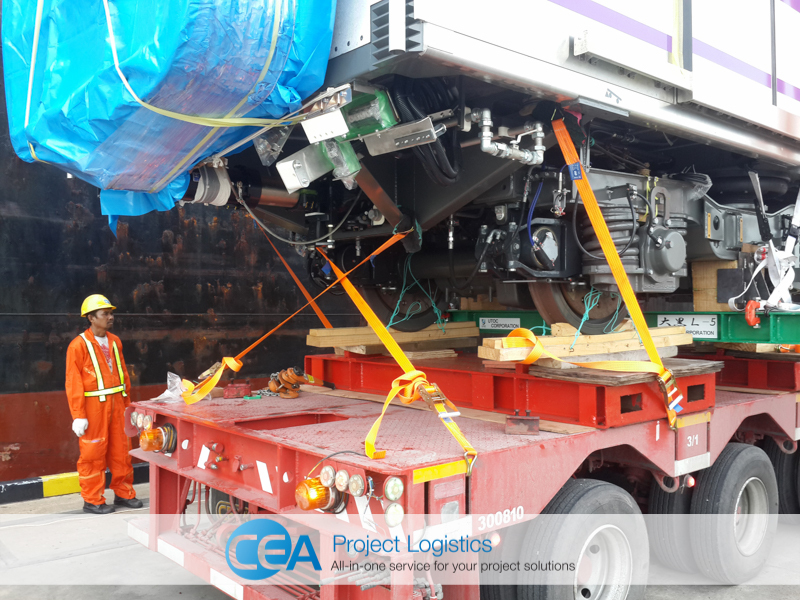 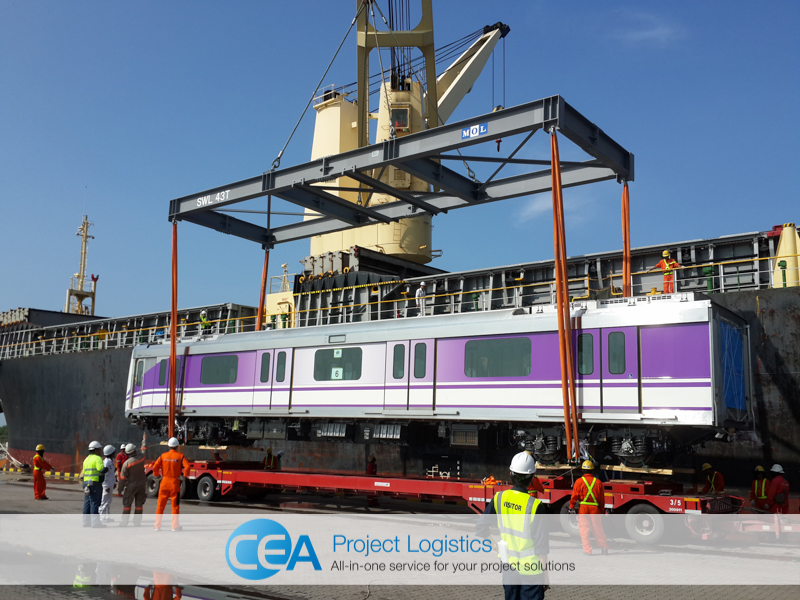 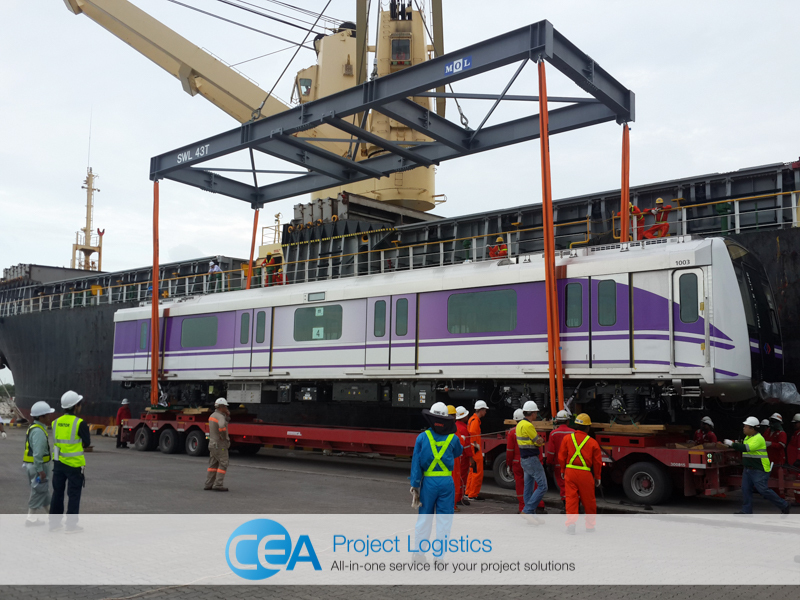 CEA was awarded the contract based on the experience and expertise they have shown on similar projects of this nature, including the transportation and unloading of the first prototype/models of the purple line carriages last year. 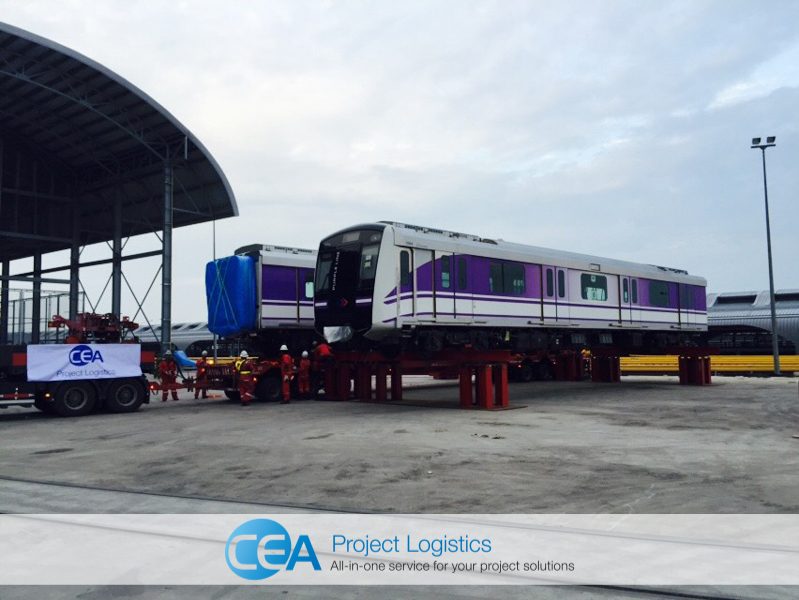 – Unloading trains at MRTA Bang Yai Depot using specialised 15 Tonne jacks. 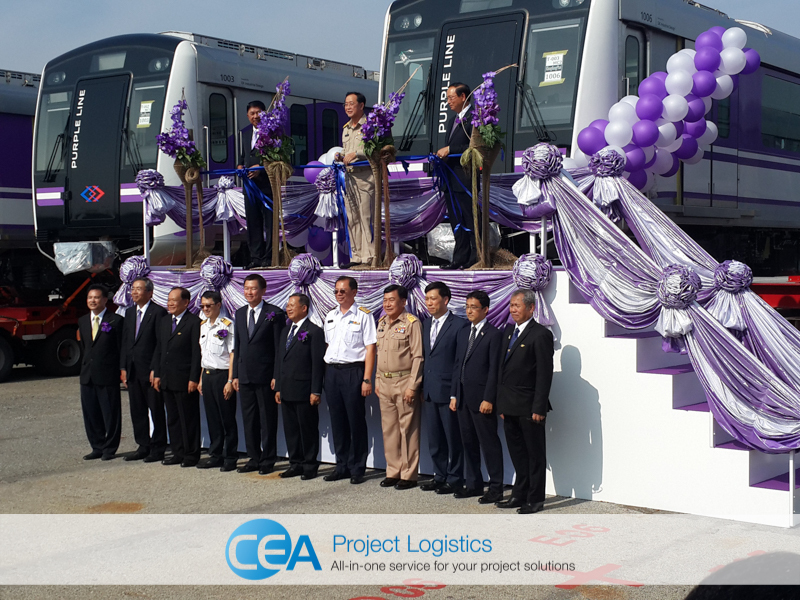 To celebrate the arrival of the first six carriages a grand ceremony was held at the CEA Free Trade Zone facility in Laem Chabang. 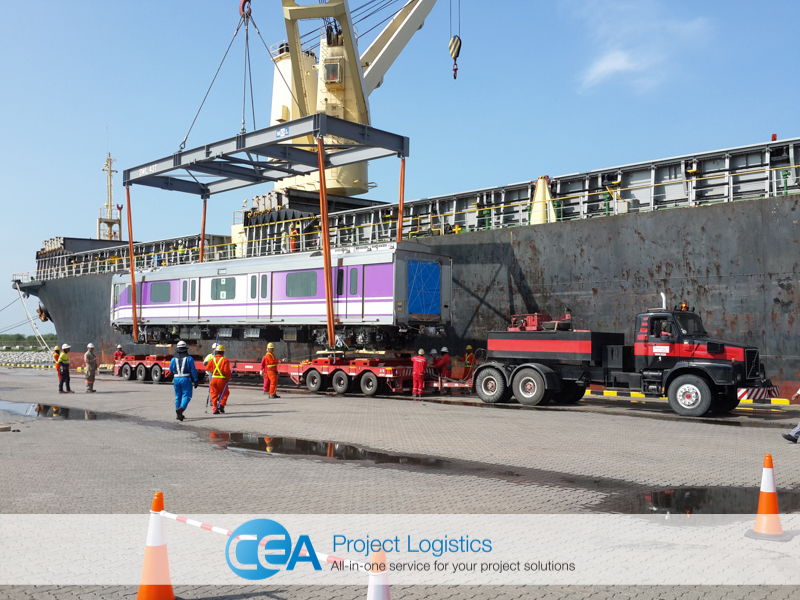 Many dignitaries were in attendance with the Minister of Transport being the guest of honour and overseeing proceedings followed by the cutting of the ribbon and the tour of the new carriages. 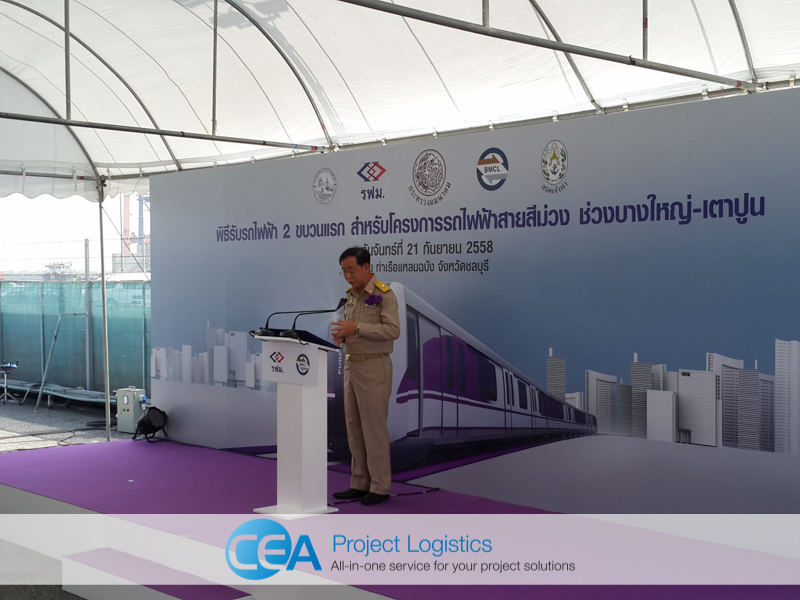 As this was such a high-profile event there was a heavy media presence with all the major newspapers and TV channels in attendance to document this new chapter in Bangkok’s history.